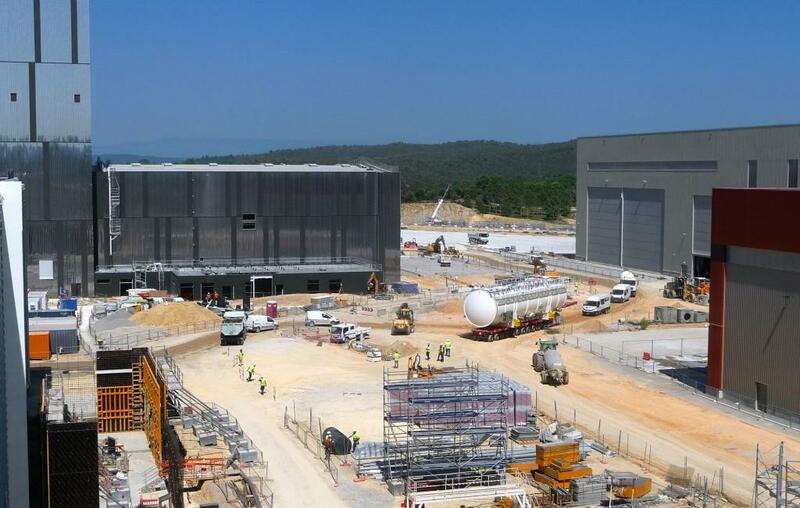 Three cryogenic plant cold boxes were moved last week from temporary storage to their final destination on the ITER site. 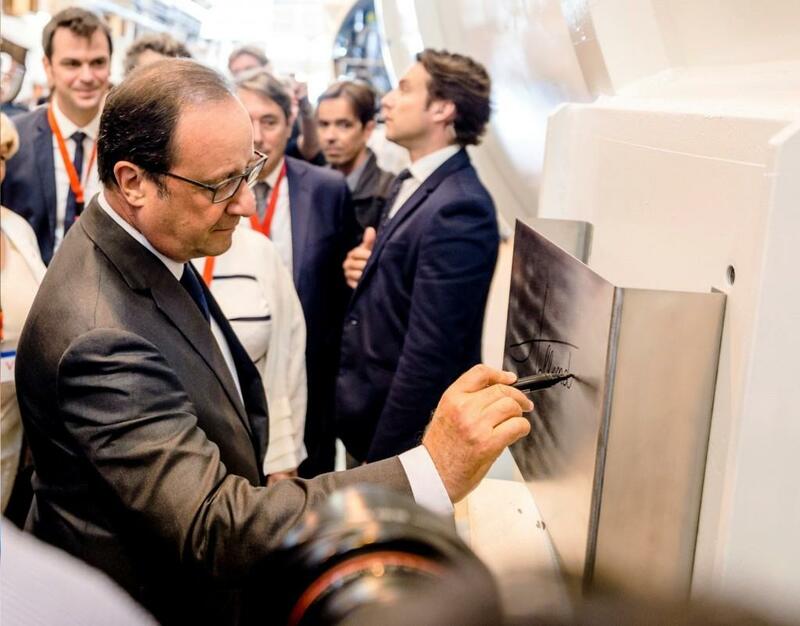 It was the occasion to remember a piece of ITER history—that the former French President François Hollande had inscribed his signature on one of the cold boxes during an official visit in 2015 to an Air Liquide factory near Grenoble, France. Members of the ITER cryogenic team stand in the entry of the cryoplant as one of the three cold boxes approaches. Once positionned inside of the building, tests on the components will be carried out over a period of 18 months. Before transport to ITER, the plaque bearing the presidential signature was removed and placed in the company's museum. One does not take chances with non-standard elements in a component as complex as these huge refrigerators, designed to cool gaseous helium to the ultra-low temperature of 4.5 K (minus 269° C). From the 8,000 square-metre cryoplant located at ITER (covered buildings plus exterior storage areas) helium and nitrogen will be produced at various temperatures and distributed to the "cold" clients of the machine; that is, the superconducting magnets, cryopumps and thermal shield that function at cryogenic temperatures. The 21-metre cold boxes—each weighing about 137 tonnes with internal components—provide an insulated environment for components such as heat exchangers, cryogenic adsorbers, liquid helium and liquid nitrogen phase separators. 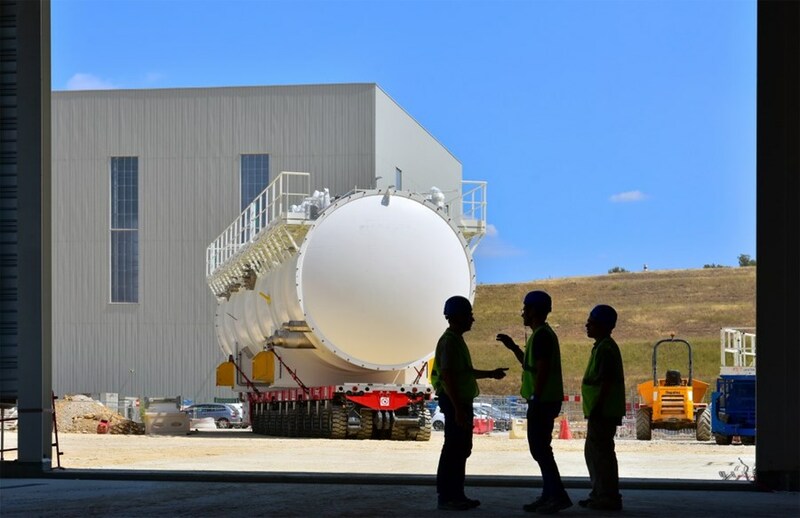 Under contract with the ITER Organization, Air Liquide is responsible for the design, manufacturing, installation and commissioning of the liquid helium plants. 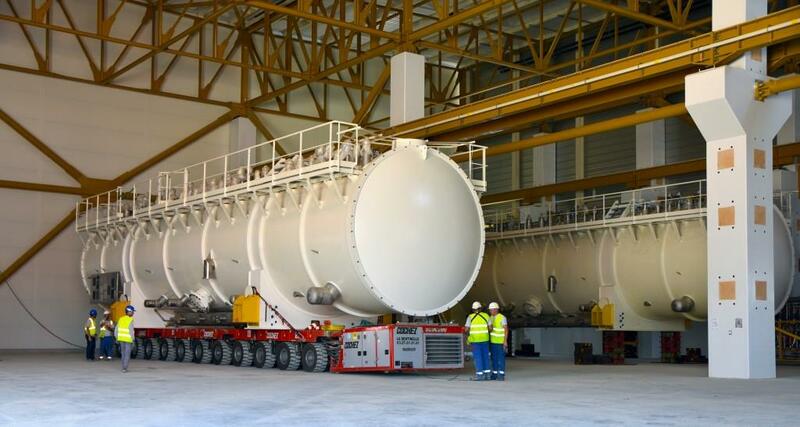 The vessels were manufactured by SIMIC (Italy) and transported to the Air Liquide factory in Sassenage, near Grenoble, France, where all internal components were integrated. 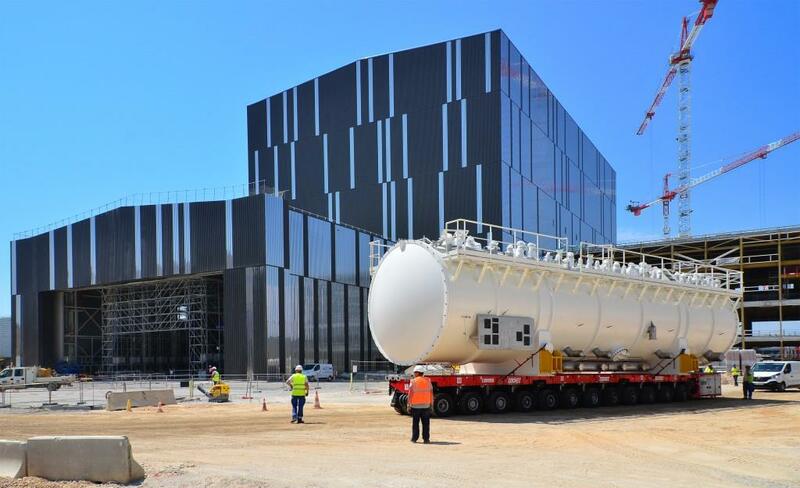 The ITER Cryogenic System Section is also expecting the delivery of a "test cryostat" from Air Liquide this week that will be used to verify the performance of the three cold boxes as part of site acceptance procedures that are stipulated in the procurement documents. With the capacity to simulate the "heat load" of the systems that the cryoplant will be called on to cool down, the test cryostat will be used to test each cold box separately, over a period of 18 months, before the three are tested together in final site acceptance tests. See the gallery below for photos of cold box transport and installation. 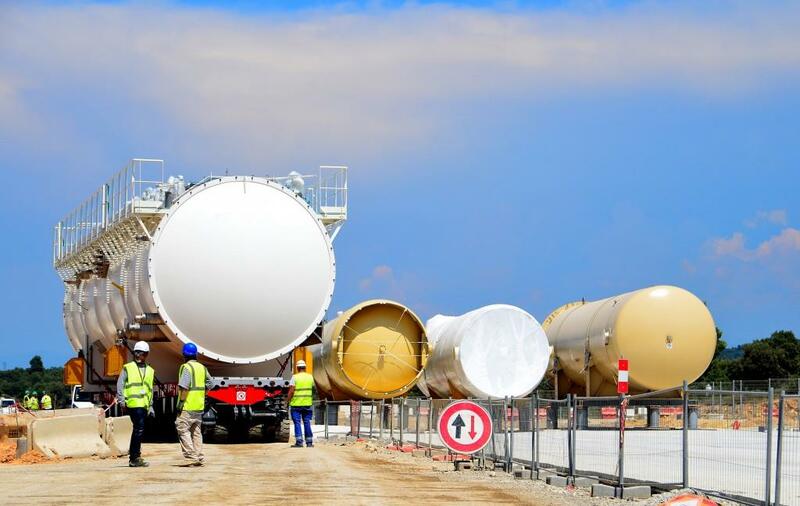 The European Domestic Agency has also published a report on the many tanks that are ready for installation in the exterior storage area of the cryoplant. On its way to the cryoplant, the second cold box on its transport trailer passes three tanks (two for gaseous helium and a third, at right, for liquid nitrogen). They too will be transported to the cryoplant for installation in the exterior storage area. The road to the cryoplant takes the cold boxes in front of the Cleaning Facility (whose doors are open) and the Assembly Hall. Traffic comes to a halt on the dirt access road leading to the cryoplant as the self-propelled platform carrying its 137-tonne load inches toward its final destination. Forty-eight multidirectional wheels allow for ultra-precise manoeuvring. The platform's hydraulic system also allows for height adjustment so that the building threshold is passed without disrupting the load. Silhouetted against the glaring light are members of the Cryogenic System Section: Emmanuel Monneret, Adrien Forgeas and Vincent Guillaume. The journey began in January 2015 in Italy, where the large steel cylinders that form the "shell" of the cold boxes were manufactured. 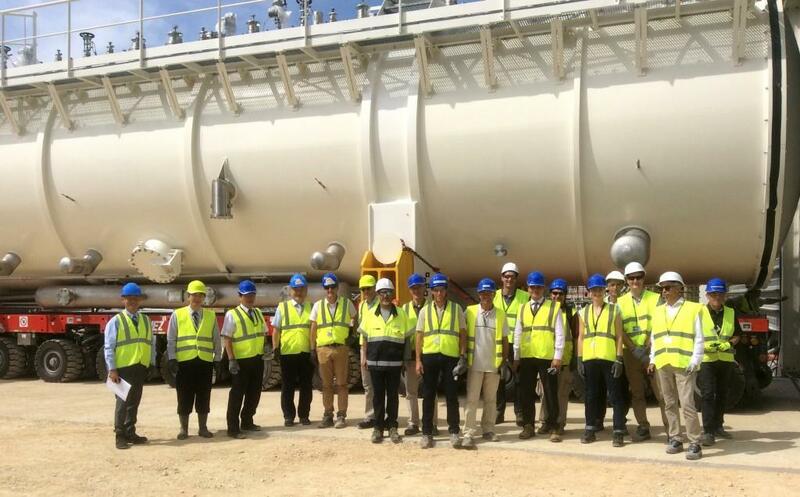 Next came close to two years of integration work at an Air Liquide facility near Grenoble, France, where the 21-metre-long vessels (4.2 metres in diameter, 70 tonnes) were equipped with internal components. Finally, the cold boxes were delivered to ITER in December 2016 and installed inside of the cryoplant on 21 June 2017. In the presence of ITER Director-General Bernard Bigot and his two deputies, Chief Operating Officer Gyung-Su Lee and Relations Coordinating Officer Eisuke Tada, the team responsible for cold box installation celebrates the respect of an ITER Council milestone that scheduled the "Start of work in the cryoplant" for June 2017. On 20 August 2015, at Air Liquide's factory in Sassenage, France, French President François Hollande signed one of three cold boxes destined for ITER's liquid helium plant.